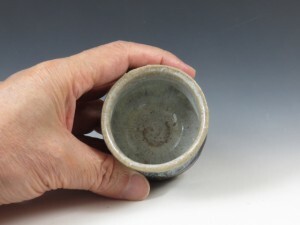 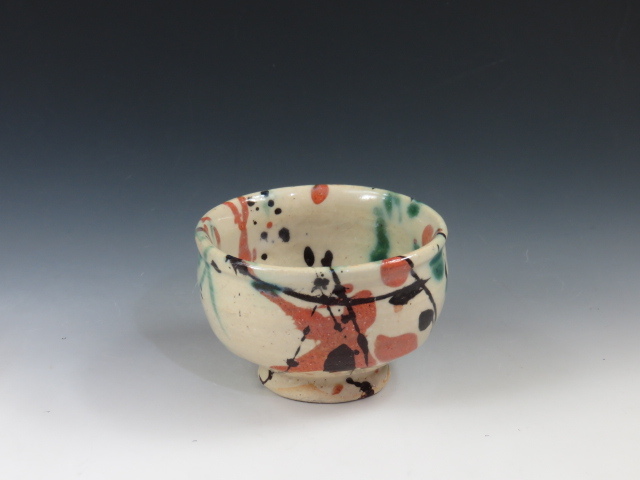 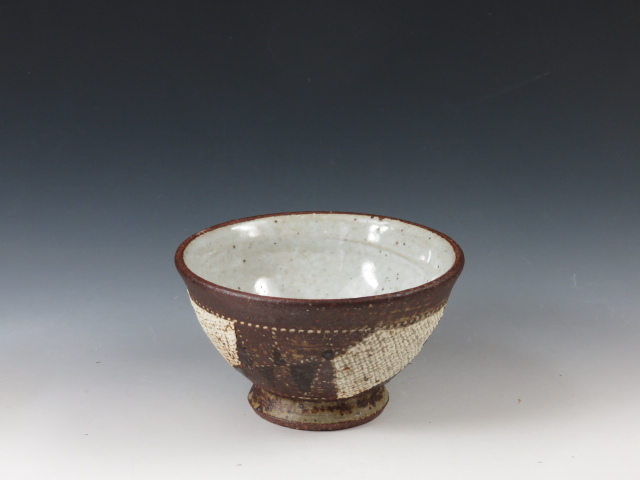 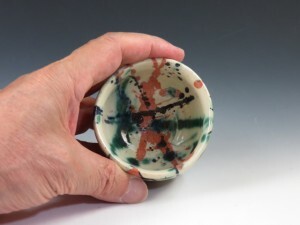 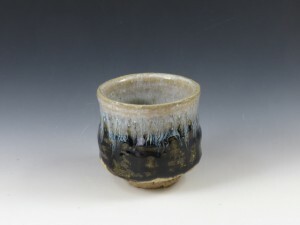 A “Chosen Karatsu” pottery sake cup with beautiful glaze flow ! 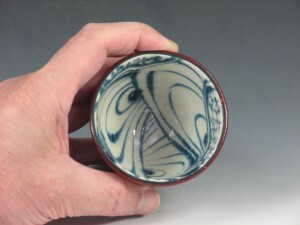 A “Yashichida-Oribe (a variation of Oribe)” sake cup with an unique designs ! 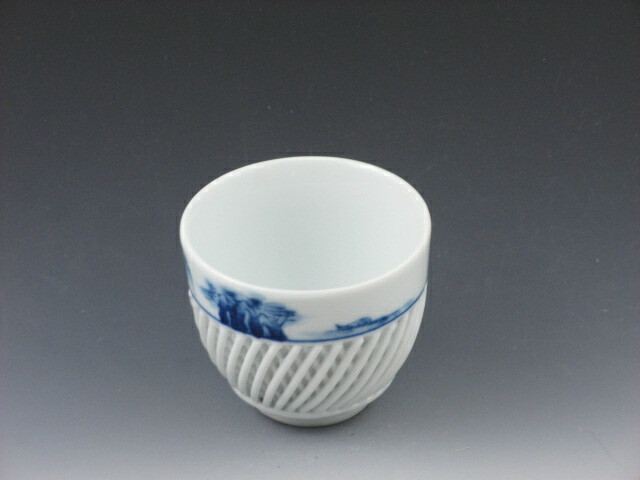 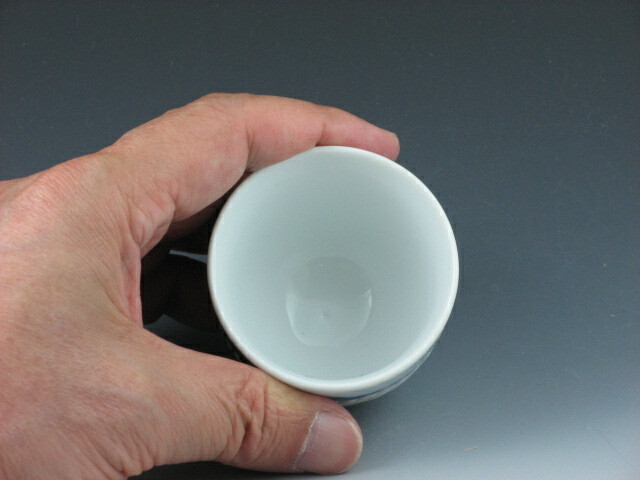 A porcelain plaited sake cup with cobalt-blue design on the top ! 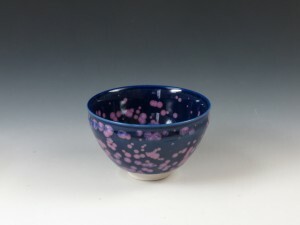 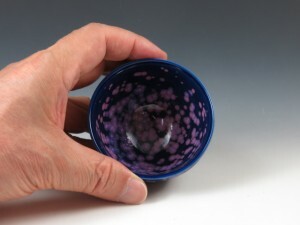 A blue sake cup with a “cherry flower” motif in “Tenmoku” style ! 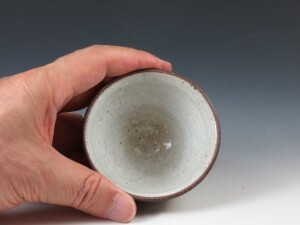 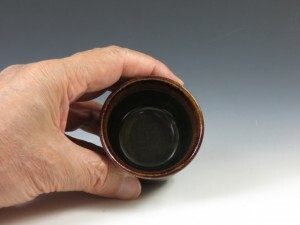 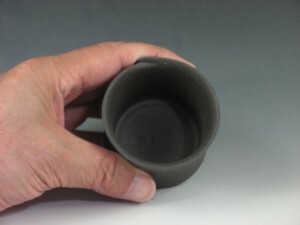 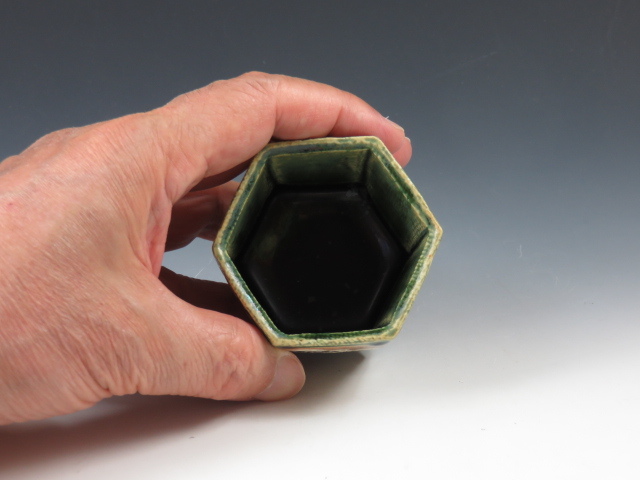 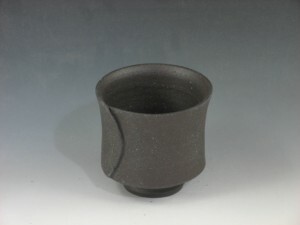 A “Nunome, or cloth textured” sake cup comfortable to the touch ! A simple sake cup unglazed in a contemporary shape ! 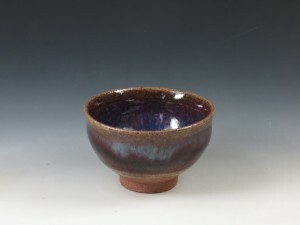 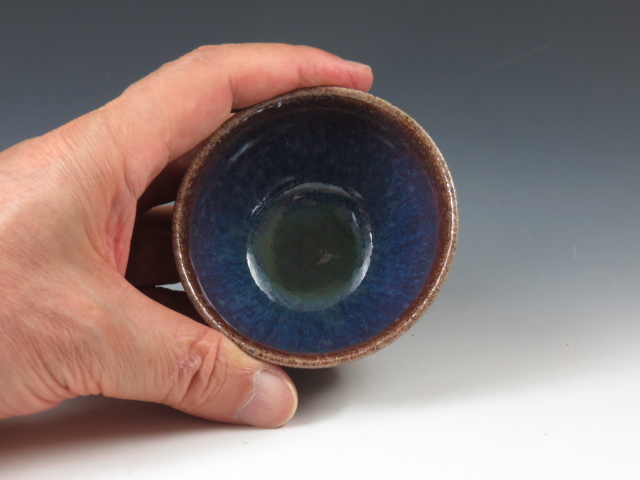 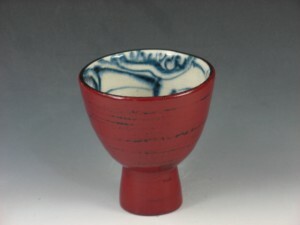 A sophisticated sake cup created with “Ruri-yu”, or cobalt-blue glaze ! 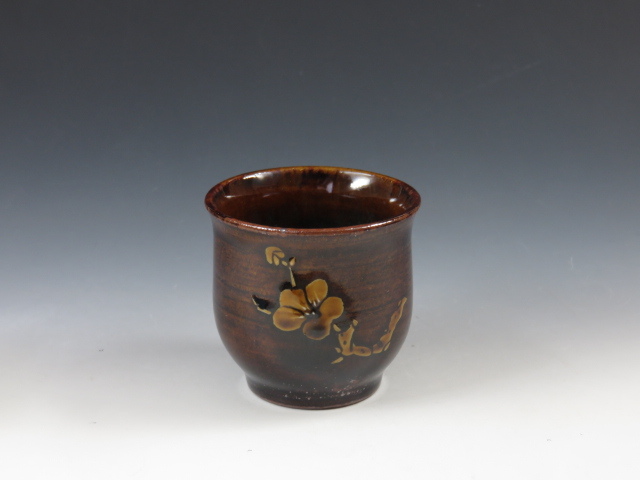 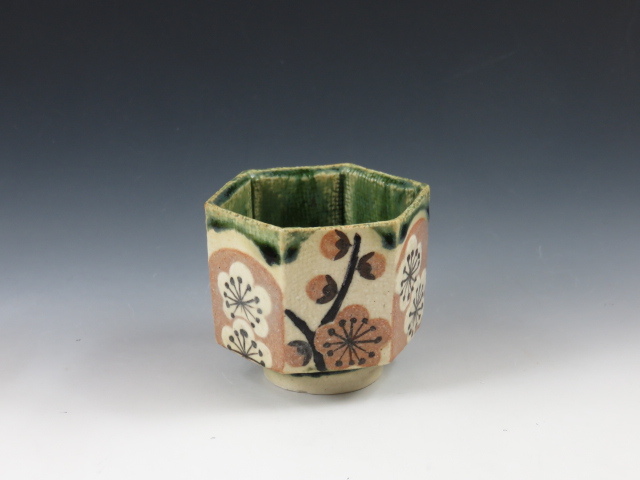 A sophisticated sake cup applied with caramel brown glaze over a ume (or plum) decoration ! A hexagonal Oribe sake cup with “Red and White Plums” motif!